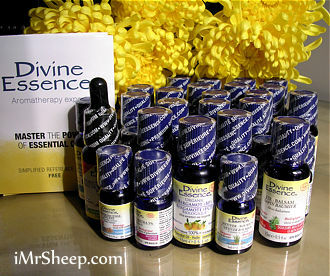 DIVINE ESSENCE - ORGANIC ESSENTIAL OILS at IRENE & MR. SHEEP Co.
DIVINE ESSENCE® Certified Organic Essential Oils are licensed and approved by Health Canada as superior quality, safe, and efficacious when used as recommended. All Divine Essence's organic essential oils are made and tested in their own state-of-the-art laboratory that allows to offer products of highest therapeutic values and superior efficacy. 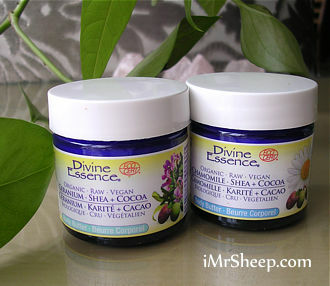 Today, Divine Essence holds one of the highest number of NPNs* (Natural Product Number) in the aromatherapy industry. Packaging: Blue glass food grade PET bottles, guaranteed BPA-free (bisphwnol-A free). What is NPN? 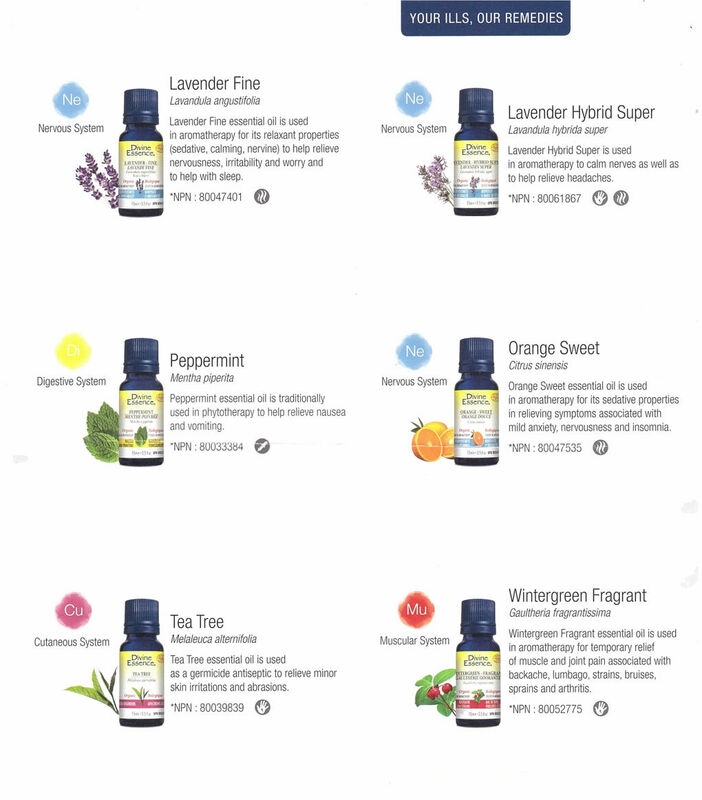 An essential oil bearing a Natural Product Number is a product, which therapeutic efficacy and safety of use have been evaluated and approved by Health Canada prior to being authorised for sale. Always read and follow all indications on the label for safe and effective use. * A free Reference Guide is supplied. 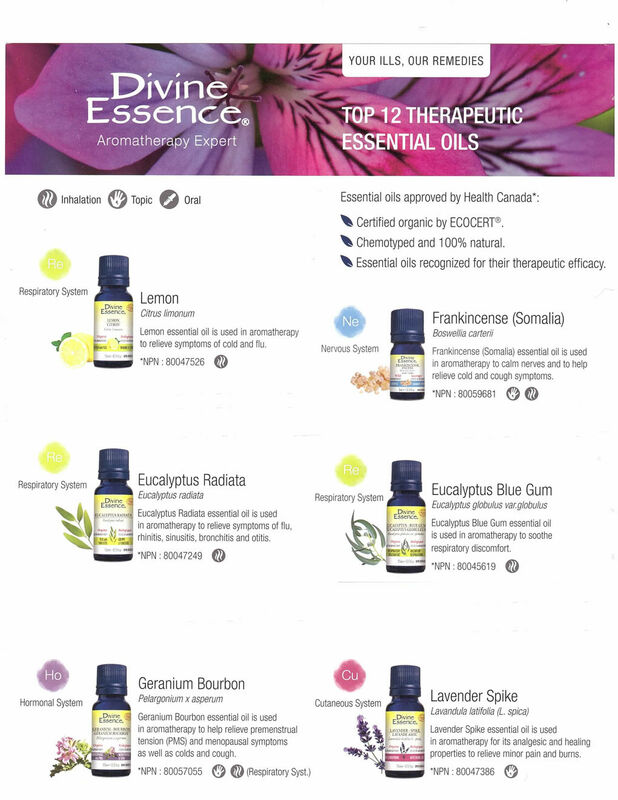 Divine Essence<>® ORGANIC ESSENTIAL OILS and a REFERENCE GUIDE. Photography © Irene & Mr. Sheep.  APPLY TOPICALLY after first conducting a patch test. The concentration of essential oils should be 1-5% and up to 10% at most. Some oils can be applied directly on the skin (e.g. lavender, tea tree), but only in a small amount and on a very limited area of the body. Always dilute essential oils in a vegetable oil or a hydrating lotion base before applying on the skin. * TIP: If you Did burns with your favourite essential oil on your or someone's skin - apply a thin layer of Calendula Cream on an affected area until healed. You can also use: Sea Buckthorn oil, Safflower oil, or even Olive oil (organic - extra virgin - cold pressed).  DURING A MASSAGE: Simple or combined essential oils must be diluted in a vegetable / beauty oil (e.g. jojoba, sweet almond, etc.) before the massage. A concentration of 1-5% of essential oil is recommended.  IN THE BATH: Dilute 5 to 20 drops of essential oils in an emulsion (emulsifier) solution or in a neutral bubble bath or milk bath. Never put pure essential oils directly into your bath, as they are not water soluble due to their density, they will rise to the surface. 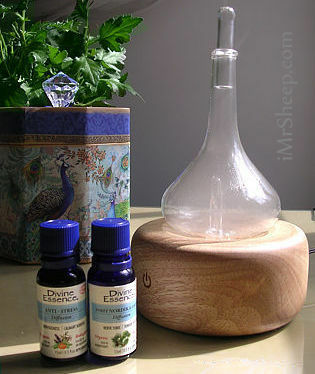  DIFFUSE WITH A DIFFUSER to clean or freshen the air. Do not use at bedtime. Choose essential oils with pleasant aromas and avoid irritating oils such as cinnamon, clove, oregano, peppermint, anis, fennel, tarragon, etc. Best to relax: Organic Sweet Orange, Frankincense, or your favourite. Photography © Irene & Mr. Sheep Co. All Divine Essence® vegetable oils are guaranteed first cold pressed, virgin and unrefined. You can use them alone for nourishing, soothing, toning, regenerating your skin and wound healing, or as a base - a carrier oil in homemade anti-aging cosmetics. Argan, Black Cumin, Carrot Oil Extract, Jojoba, Prickly Pear (Barbary Fig), Rosehip (Rosa Mosqueta), Sacha Inchi, Tamanu. IN STOCK: Divine Essence® Ecocert Greenlife Certified Organic Anti-Stress Essential Oils Blend, Forêt Nordika Forest Essential Oils Blend, Organic Breath Prana Respire Blend, Organic Zen Meditation. Ingredients, Anti-Stress: Citrus sinensis 50%, Litsea cubeba 5%, Other 45% - Lavandula hybrida super, Citrus limonum, Citrus reticulata blanco, Thymus mastichina. Ingredients, Breathe Prana Respire:Eucalyptus globulus 15%, Other 75% - Melaleuca quinquenervia, Abies balsamea, Eucalyptus radiata, Cymbopogon martinii var. motia, Rosmarinus officinalis cineoliferum, Cinnamomum camphora cineoliferum, Mentha x piperita. Ingredients, Zen Meditation: Citrus sinensis 60%, Other 40% - Picea mariana, Cedrus atlantica, Boswellia carterii. DIFFUSER BLENDS AND COLD AIR NEBULIZER. Organic Geranium - Shea & Cocoa Butter. Ingredients, Organic Chamomile - Shea & Cocoa: Butyrospermum Parkii Butter*, Theobroma Cacao Butter*, Lavandula Angustifolia Oil*, Cymbopogon Flexuosus Oil*, Argania Spinosa Oil*, Rosa Aff. Rubiginosa Oil*, Plukenetia Volubilis Oil*, Salvia Sclarea Oil*, Chamaemelum Nobile Oil*, Tocopherol (Vit. E). Ingredients, Organic Geranium - Shea & Cocoa: Butyrospermum Parkii Butter*, Theobroma Cacao Butter*, Citrus Aurantium Bergamia Oil*, Lavandula Angustifolia Oil*, Cananga Odorata Oil*, Pelargonium X Asperum Oil*, Argania Spinosa Oil*, Rosa Aff. Rubiginosa Oil*, Plukenetia Volubilis Oil*, Tocopherol (Vit. E). 100% of total in ingredients are from Natural origin. *99% of total ingredients are from Organic farming. ORGANIC HAND BUTTERS. Photography © Irene & Mr. Sheep Co.